3. Yes or No: Do you dunk? 4. Is it Donut or Doughnut? Plain cake donut hot, dunked in cold milk. Dunkin’ Donuts works for me. Their coffee is good too. Donuts is easier to spell. It’s hard to choose only one kind of donut and I can’t make up my mind. At this very moment, honey dipped is winning. Dunkin Donuts for both donuts and coffee. Their muffins are pretty good, too. I have no idea how consistent the individual locations are but my local one is reliable, probably because it’s busy. Or, it’s busy because it’s good. I don’t dunk. Donut, not doughnut. Dunkin’ always seems consistent to me – on the road here or there, if we stop, they all tend to be clean and with good staff. Honey dipped? Is that like glazed but not? I’m not a fan of muffins as a rule, unless they are homemade, sliced open, then grilled to give the insides some crisp. If we stop at DD very early in the morning, on a long drive perhaps, Mr. EOS opts for a DD toasted bagel. I like their version of the egg mcmuffin. Yes, honey dipped is what I call glazed but I doubt there’s any honey in it. Homemade wild blueberry muffins are best but Dunkin’s at least have a muffin texture, not a fluffy, cake mix tasting one. Okay, thanks for the explanation. Regional vocabulary differences I guess. Speaking from experience, do note the glazed ones are impossible to eat while driving – then the steering wheel gets all sticky. I eat one handed and make sure the paper is always touching the donut. Then pull off and get the wet wipes out. That sounds like the Donut Olympics and your routine deserves a 10 and the Gold Medal! Awesome! The real treat at Daylight is the sausage rolls. Always make an early am stop there on the way out of town. See all the groomer drivers just coming off their overnight shift. You’re a Breckinridge skier? Back in the 60s, when I started my roller coaster college career, we skied at Breck because that’s all we could afford. It’s remained such a great family destination and town. Me tooooooooooooooooooooooooo. Right here in Stamford, Lakeside Diner, hot mini cider donuts. OMG, it doesn’t get any better. Hardscrabble Orchards, in the fall, their hot cider donuts are to die for, but getting to them is impossible as in the autumn apple picking season, parking is insane. The late, lamented Schultz’s Cider Mill in Armonk. Cinnamon or powdered sugar. Steaming hot. Weekends only. Their machine could barely keep up with the demand. One hour waits in line not unusual. In the café a strict limit of two per drink. Quite a scene. It is indeed lamented. I can remember sending Mr. EOS out before dawn on a Sunday to wait in a long line with all the other dads stuck with the same duty! It was a crushing blow to Route 22 when it closed. My memory says it closed because a developer bought the land to make condos? Right? Right. Michael Fareri, a developer from Armonk. His cousin John Fareri of Greenwich, also a developer, became famous for building a new state-of-the-art pediatrics wing at the Westchester County medical center. His young daughter had died of rabies at the center, and he was appalled at the lack of facilities there specifically for children and their families. The story was made into a feature film with David Duchovny starring as John. Together the two Fareris built Chieftans, the development that grew out of the old Gimbel estate. These homes are now cited as bargains on FWIW because of their extremely high build quality but remote location. Aha. Thanks for all the background info. I knew about the hospital but didn’t know he was of Chieftains fame. That reminds me of the cronut fad in NYC a few years ago. Long lines for a cross between a donut and a croissant. I’m probably the only person who never had a cronut. Sounded terrible to me. Btw, you never mentioned you were functioning as the Dew Drop Inn for your neighbors – I’m sure a place in heaven as already been set aside for you. ANY donut from Holy Donuts would be just fine with me. When I was a kid, my favorite was the creme filled at DD. NOT Bavarian Creme or Boston Creme, but the white pure sugar glop ones that after eating one was like consuming 100 cups of coffee – it had that much sugar in it. My mom’s favorite DD was always what was called crumble or something like that, similar to the ones Entenmann’s sells today. It was the best buy long since discontinued. 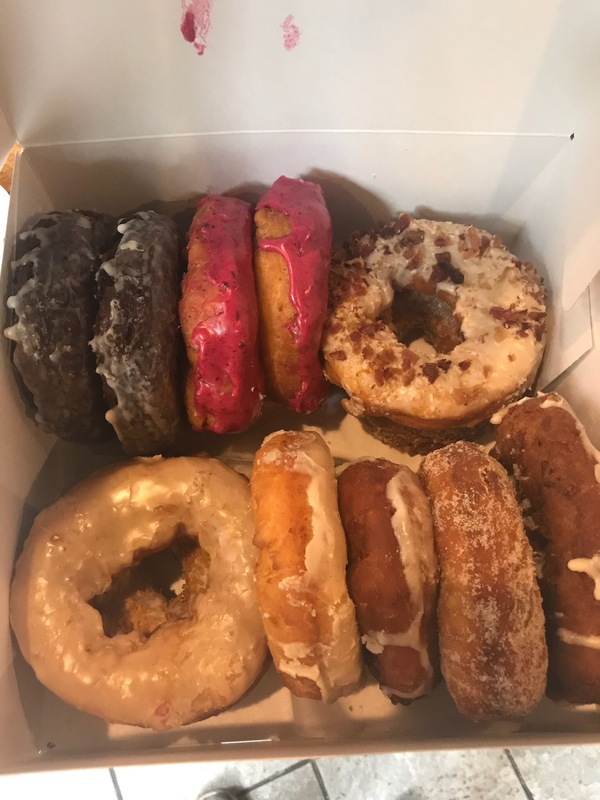 I love the plain (made daily) donuts at either the Long Ridge Diner (right off the Merritt Parkway exit) or plain donuts at Sound Beach Deli in Old Greenwich – also made daily. Both are wonderful. I don’t dunk. Never have. Maybe I should try! 🙂 Both places also make sugared plain donuts. Yummy! Boy does the mention of Schultz’s bring back a flood of memories! Grew up in Rye and every weekend my mother used to send my dad up to Armonk to fetch those donuts. And it was a testament to his love for her that he did it. He didn’t like donuts at all. He also used to get her a black and white milkshake from Baskin Robbins, every single night. And go figure, she wasn’t fat! Devore’s donuts in Fairfield,Ct that sadly closed years ago.i saw Martha Stewart there many times when she lived just down the road. Martha isn’t very visible here, well, at least not in my circles. She does ride her horses on the Bedford Riding Trails and she does attend local art/charity events but I’ve not seen her in Target or Dunkin’ Donuts. Not a fan of jelly donuts. Too gloopy. I learned something new today. It’s interesting to look at Martha’s career. She never stops redefining herself to stay relevant and in public eye. She seems to be moving toward food judging shows and hanging out with Snoop Dawg, but it it pays the bills, I say why not. 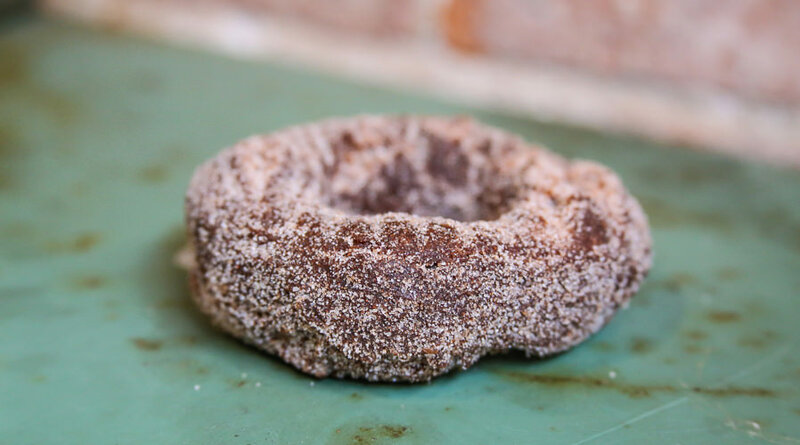 I used to love the chocolate donuts with shredded coconut on them. I don’t think DD makes them anymore. Mmmmmmmm. That sounds great. Anything with coconut on it or in it sounds most excellent to me. All this talk of donuts has me salivating. These are pretty special if you get down to Austin, Texas. Youngest is going to a wedding in Austin soon. I’ll send along the link. Bride reserved rooms at The Driskill (sp?) hotel. A unique old hotel. There are a few of those in Texas. Menger Hotel in San Antonio and The Lancaster in Houston. I didn’t get invited to the Austin wedding but I’m long overdue for another road trip further into Texas. I’m going to bookmark these hotels. Thanks. I never met a donut I didn’t like! We’d be friends. Thanks for stopping by! Yes, famous old hotel in the heart of Austin. Voodoo apparently in lots of other places, Orlando, Hollywood, Denver & multiple Oregon locations. Just returned from a discussion about Briggs Cunningham as part of the Greenwich Film Festival and the Concours. They have 33 of the 35 Cunningham cars and his winning America’s Cup yacht “Columbia” is in the harbor all as part of the car show. Really interesting guy. Greenwich is happening this weekend! Sounds like a very interesting discussion. Greenwich really does the arts well. Today is a perfect weather day for the Concours. Let’s hope the bidding is strong for CosHarbour’s Fiat.